T-Shirts, letters of indulgence, wallpaper, old furniture – to mimic a hotel room. This project about ‘the end of our lives’ utilises ‘dead’ mediums, (Polaroid and super8 film) and is a socially critical comment on our obsession with eternal youth through materialism. This is pop culture vs. the Middle Ages. 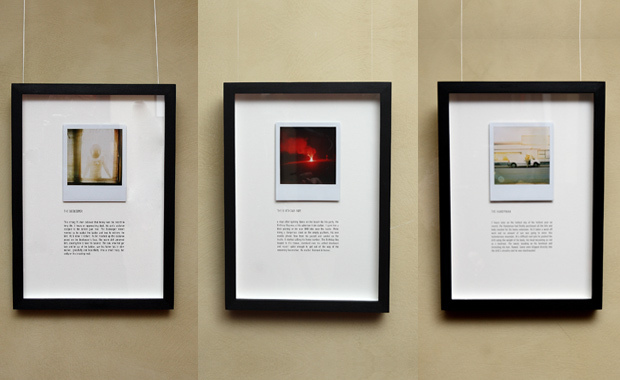 Each framed work is a one-off, written and photographed by the artists. The short story is a fictional portrait (or is it true?) 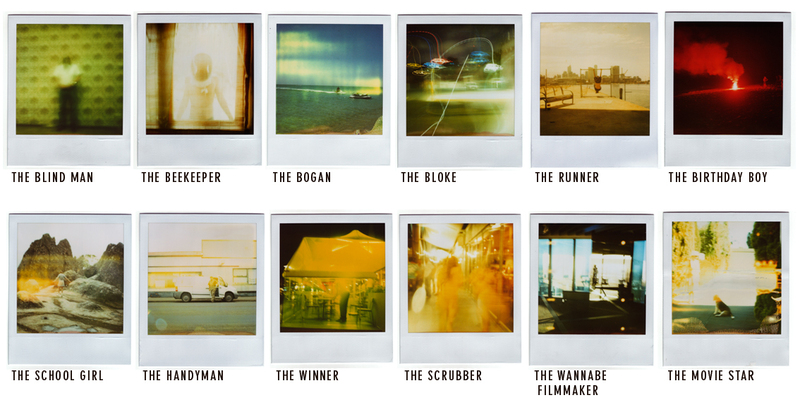 that depicts the last hours in the life of the person portrayed in the Polaroid. From poetic to grim these works tell of the place, its inhabitants and their vanities. They are set in locations as diverse as Cannes, Paris, Munich and Melbourne. Accompanying each of these is a DVD of a looping 3-minute black & white Super8 film created by BORIS + NATASCHA. Death is played by Boris and recorded by Natascha in her notorious Super 8 style. An Ingmar Bergman-like character, Death in a black hood, holds a Polaroid camera. 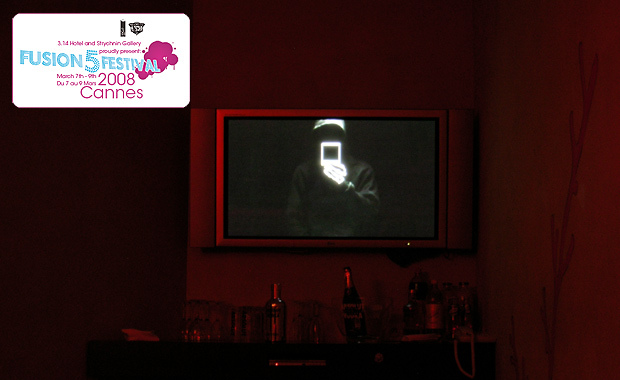 Every minute or so he takes a picture, seemlingly of a visitor to the room and the TV flashes. Perhaps Death has captured your final moment? Are you next? No Fear! BORIS+NATASCHA have negotiated deals with death and offer three packages with the option to payoff Death. For a small fee one can buy, for example, a BORIS+NATASCHA letter of indulgence, akin to those distributed en masse to the wealthy in the middle ages, absolving them of their sins. Or perhaps you’re the risky type? Then the ‘Russian Roulette’ Package which includes a limited edition DEATH ON TOUR T-shirt is for you. This protects you from Death when wearing the T-shirt but only 90% of the time. This weekend saw a hotel in Cannes taken over by a hard-partying cabal of artists from all over the world. Dazed went along to soak up some of the extreme weirdness. Highlights included BORIS+NATASCHA’s Death on Tour. One of our favourite exhibitions was created by BORIS+NATASCHA, who satirized our obsessions with eternal youth through consumerism. BORIS+NATASCHA, a Berlin/Australian duo, created an installation about achieving immortality through shopping, and during their exhibition, viewers could purchase T-shirts to make themselves death-proof.